Playa del Carmen is located in the state of Quintana Roo, on the edge of the Caribbean Sea. It is a city that you will certainly have to visit if you’re traveling in Mexico. 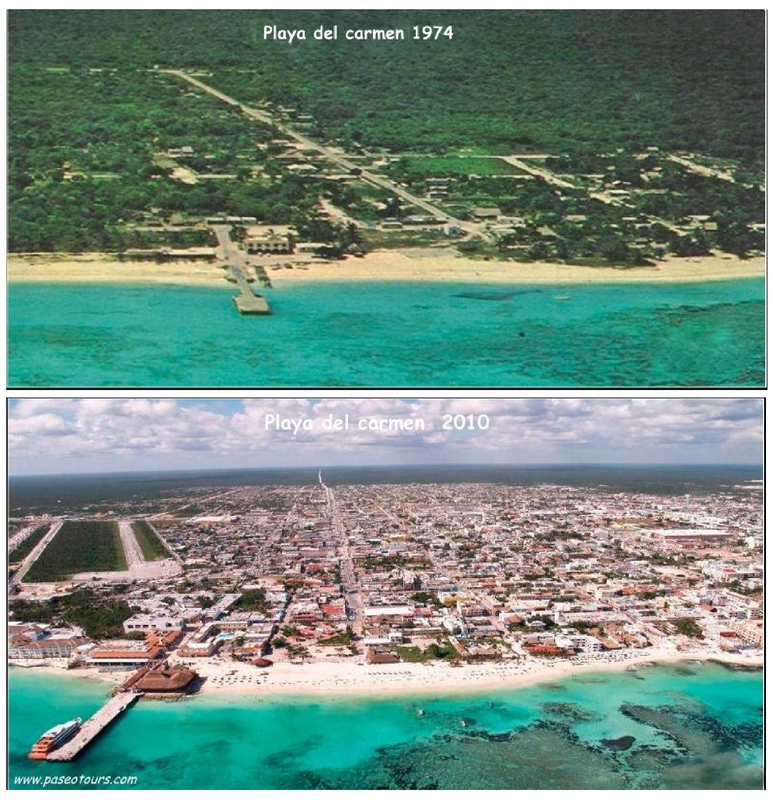 Until the 80s, “Playa” as it is now called, was a small fishing village of about 1500 inhabitants. Gradually it turned into real city with the arrival of tourism in this part of Mexico. “The center in” has developed very rapidly, and today there are about 200,000 inhabitants. It is far from the small fishing village that it once was. … The boom of the Riviera Maya first began with the creation of the Cancun hotel zone that was created in the 70s to decongest the resorts of Acapulco on the Pacific coast. 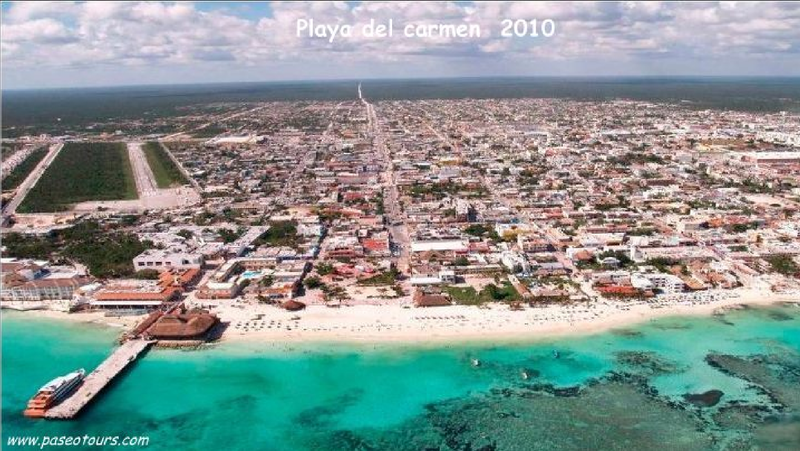 Playa del Carmen is a new city, which is constantly expanding and growing, it even holds the world record!! 3 million tourists come each year and the numbers are increasing! The Mayan Riviera wants to be part of the top 5 visited destinations in the world. Playa del Carmen is not a traditional Mexican town. The population is very young, and every month new arrivals from across the country come to live and visitors from around the world come seeking sun, wellness and especially labor. The ongoing construction of hotels gives work to lots of people. This is the opportunity for many to try their luck and participate in the development of a city for young people from all backgrounds. The main attraction of Playa del Carmen is its beach of course, and its famous “5th avenue” or “Quinta Avenida”, pedestrianized streets of several kilometers with a long line of bars, shops and restaurants. You can go without fear, at all hours, there is no danger in the city. One of the cons of Playa is that there are no old churches or traditional markets, you need to go to the Yucatan, Valladolid (2 hours drive) to see the Mexico that you may imagine. You’ll understand Playa is a cosmopolitan city that is young, which has its history still before her. Let’s be optimistic and hope that the development is not too chaotic, and remains in compliance with the environment and nature, and that the politicians do not make mistakes like the ones on the Pacific Coast in Acapulco. Playa del Carmen is a very good starting point for most trips departing to the south (50 minutes to Tulum, Coba 1hour and 30 minutes, 2 hours and 45 minutes to Chichen Itza, and Valladolid 2 hours), and always with Paseo Tours obviously!! The famous 5th Avenue a few years earlier..